Can You Mine Cryptocurrencies on AWS or DigitalOcean? In the world of cryptocurrency, mining is an integral part of Bitcoin and most altcoins. Unfortunately, not everyone has the means to mine at home or partake in cloud mining. Relying on AWS-based mining was a worthwhile solution some time ago, but that concept has fallen out of favor as of right now. For the average novice cryptocurrency mining enthusiast, it makes sense to outsource the mining process altogether. Without powerful and dedicated hardware at one’s disposal, it becomes significantly more difficult to generate cryptocurrencies through the Proof-of-Work algorithm. Mining Bitcoin at home is nigh impossible these days, but for altcoins, things are a bit differently in this regard. Unlike Bitcoin, most altcoins use a completely different mining algorithm. In the case of Monero, for example, mining with a regular CPU can still yield some good results, although no one will become a millionaire overnight by any means. Even so, this raises the question as to whether or not it is worthwhile to mine cryptocurrencies using online services such as AWS or Digital Ocean. Truth be told, both options worked quite well until a few years ago. When cryptocurrency mining was still CPU-friendly, one could easily spin up a server on either platform and earn some money from doing so. Over the years, however, both companies have actively begun prohibiting such activity, as it taxes their infrastructure significantly. Furthermore, both Digital Ocean and AWS have lowered the “power potential” of their virtual servers in recent years. That simply makes it infeasible to even contemplate mining any cryptocurrency using those services. Both platforms are still viable for setting up a wallet or even running masternodes, but mining has been made impossible and extremely unprofitable ever since. One also has to take into account both services need to be paid for upfront. The amount of cryptocurrency hypothetically earned from mining on AWS or Digital Ocean would not offset these costs. It might still work with fresh altcoins who are released an hour ago, although it is evident cryptocurrency mining has become increasingly competitive over the years. The chances of getting ahead of other miners is slim to none in 2018. All of this shows how at-home cryptocurrency mining is pretty much a bygone era at this stage. 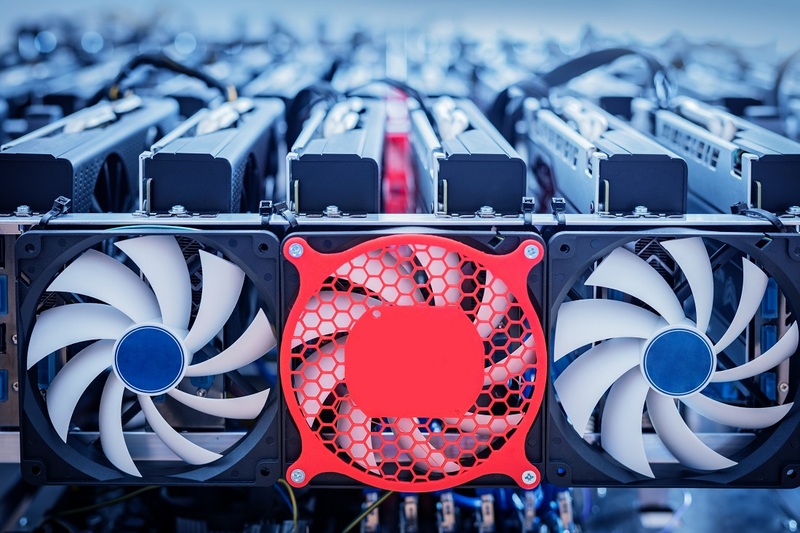 Although there are still hundreds of people who invested in GPU mining just last year and in early 2018, the current rewards do not offset the costs associated with such a project. It is a very unfortunate evolution, yet it seems the “good ol’ days” will not come back anytime soon. Using AWS or Digital Ocean for mining is not an option, as both companies will terminate one’s account fairly quickly.